Bruce Springsteen performed a snippet as introduction to "Rosalita (Come Out Tonight)". He used a couple lines from "Be-Bop-A-Lula" . 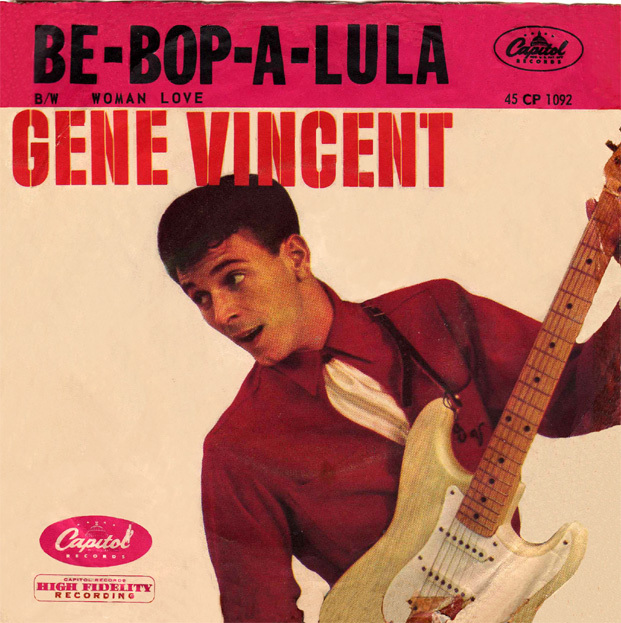 "Be-Bop-A-Lula" is a rockabilly song first recorded in 1956 by Gene Vincent and His Blue Caps. The writing of the song is credited to Gene Vincent and his manager, Bill "Sheriff Tex" Davis. Evidently the song originated in 1955, when Vincent was recuperating from a motorcycle accident at the US Naval Hospital in Portsmouth, Virginia. There, he met Donald Graves, who supposedly wrote the words to the song while Vincent wrote the tune. (Cf. "Money Honey" by the Drifters, 1953). The song came to the attention of Davis, who allegedly bought out Graves' rights to the song for some $50 (sources vary as to the exact amount), and had himself credited as the lyric writer. 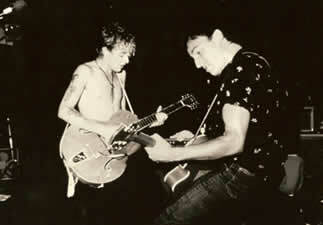 Davis claimed that he wrote the song with Gene Vincent after listening to the song "Don't Bring Lulu". Vincent himself sometimes claimed that he wrote the words inspired by the comic strip, "Little Lulu": "I come in dead drunk and stumble over the bed. And me and Don Graves were looking at this bloody book; it was called Little Lulu. And I said, "Hell, man, it's 'Be-Bop-a-Lulu.' And he said, 'Yeah, man, swinging.' And we wrote this song." The phrase "Be-Bop-A-Lula" is similar to "Be-Baba-Leba", the title of a No. 3 R&B chart hit for Helen Humes in 1945, which became a bigger hit when recorded by Lionel Hampton as "Hey! Ba-Ba-Re-Bop." This phrase, or something very similar, was widely used in jazz circles in the 1940s, giving its name to the bebop style, and possibly being ultimately derived from the shout of "Arriba! Arriba!" used by Latin American bandleaders to encourage band members. She's the one that yells, "More, more, more, more!"